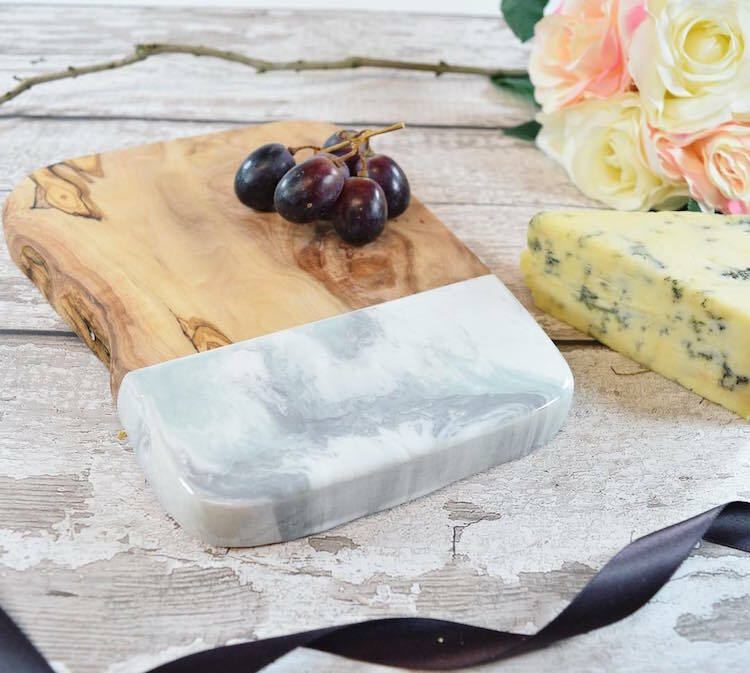 Taking several days to complete, Chesters creates her artisanal boards from a variety of natural, water-resistant woods. 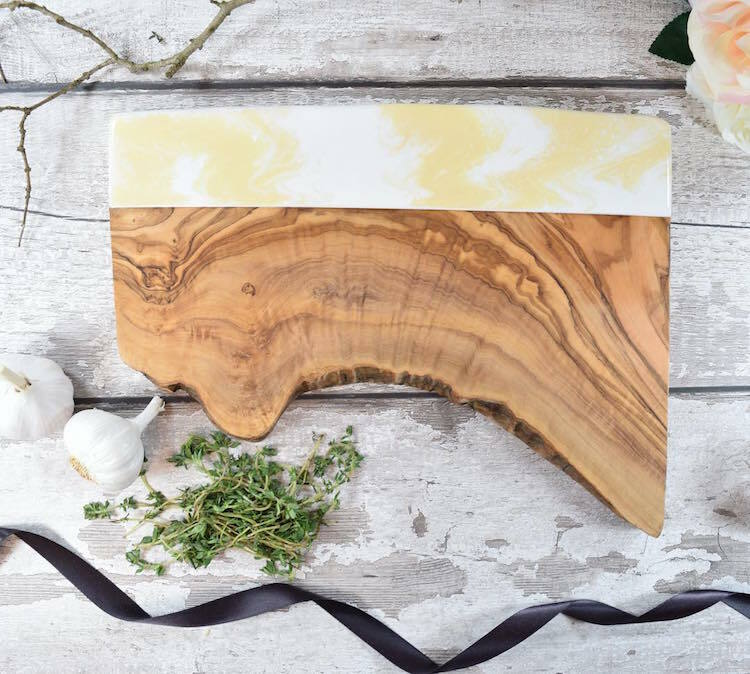 From the oil-like grain patterns of olive wood to the minimal, striped markings of bamboo wood, each rustic slab has its own unique properties and aesthetic. 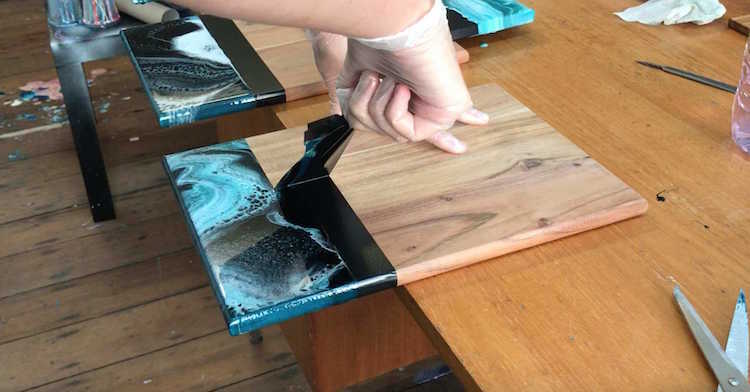 Before applying the non-toxic epoxy resin, Chesters first places a stretch of tape across the board to create a clean line and protect the rest of the wood with cling film. 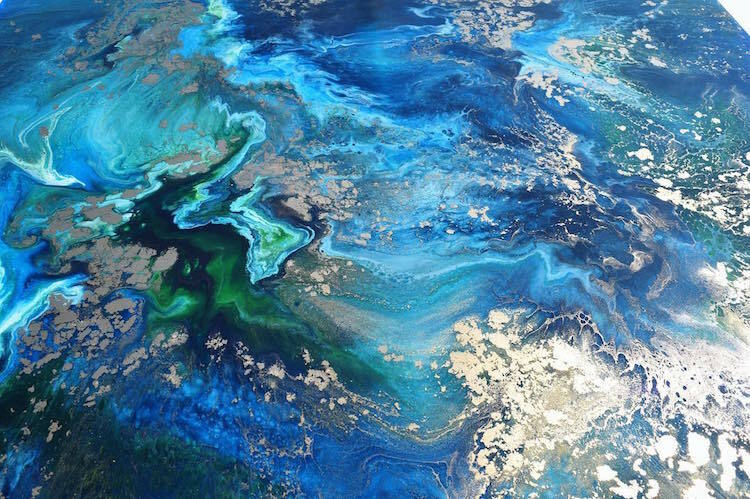 She then pours her colorful glazes onto the exposed areas, and watches as a chemical reaction causes the colors to mix together in abstract patterns. 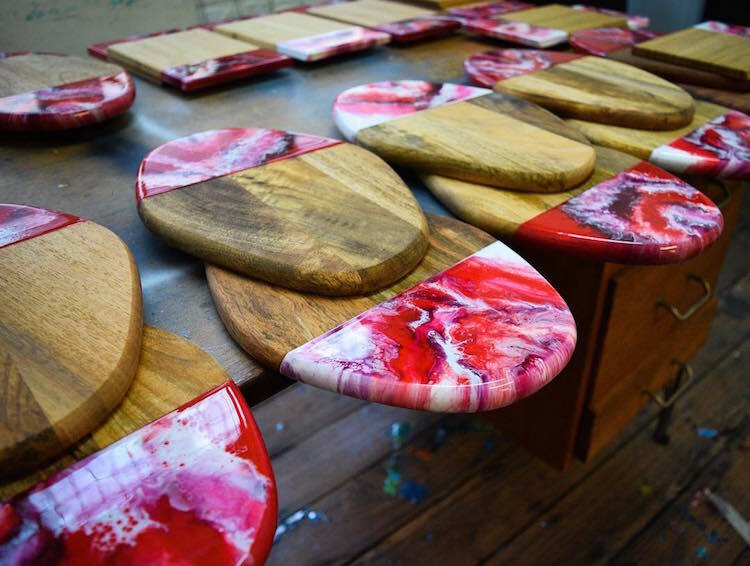 Once complete, each board must be left to dry for around 24-72 hours. 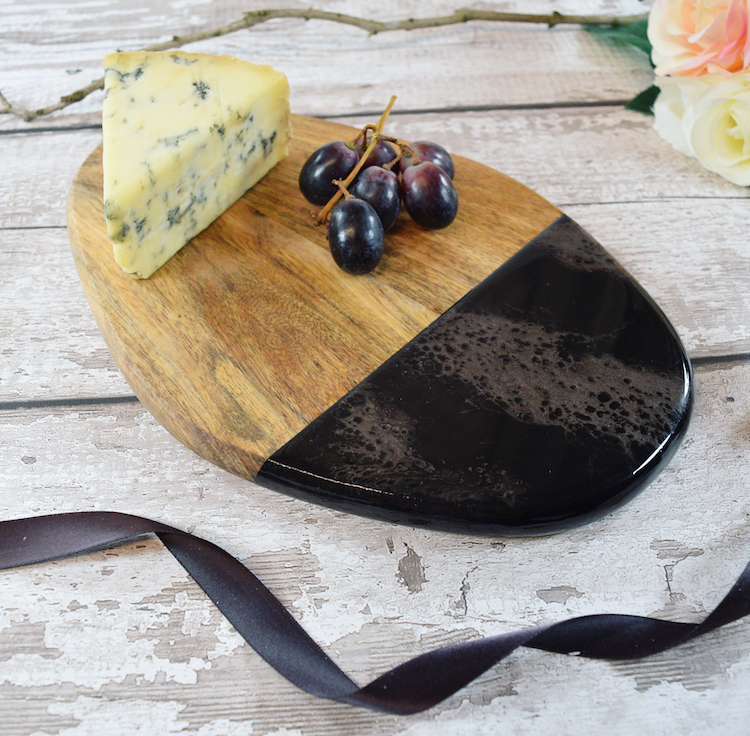 Once the resin has gone from sticky to smooth and shiny, the resulting surface is extremely versatile and hard-wearing. 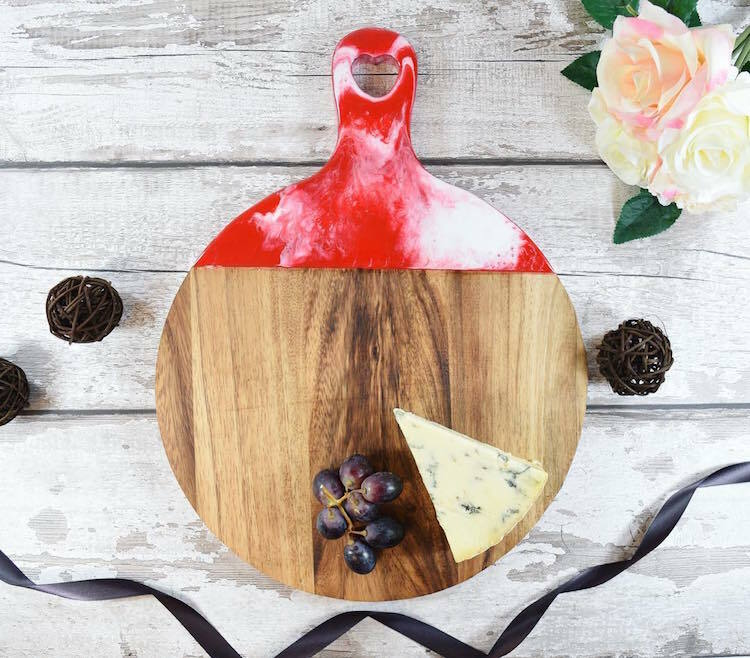 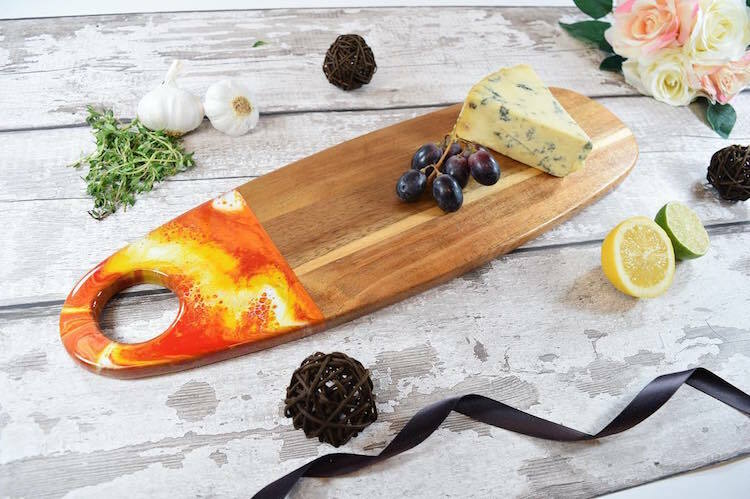 And with multiple shapes and sizes, Chesters’ creations can be used to chop and prepare food, serve bread and cheese, or just add contemporary flair to your kitchen! 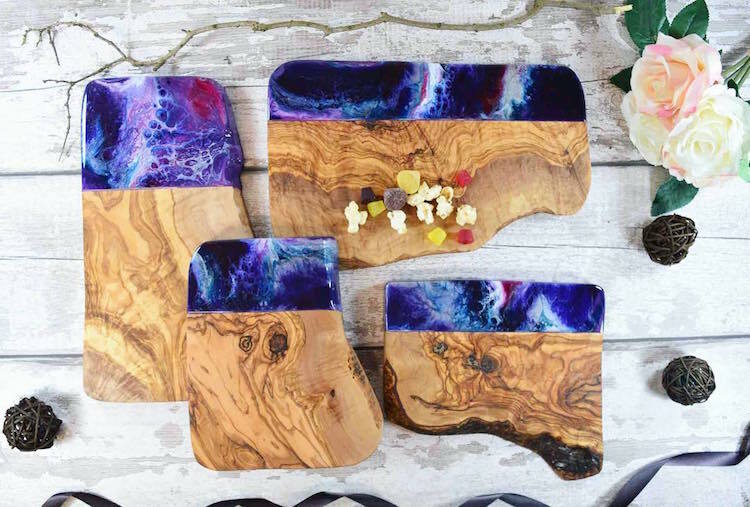 You can buy Chesters’ resin-coated boards on Etsy. 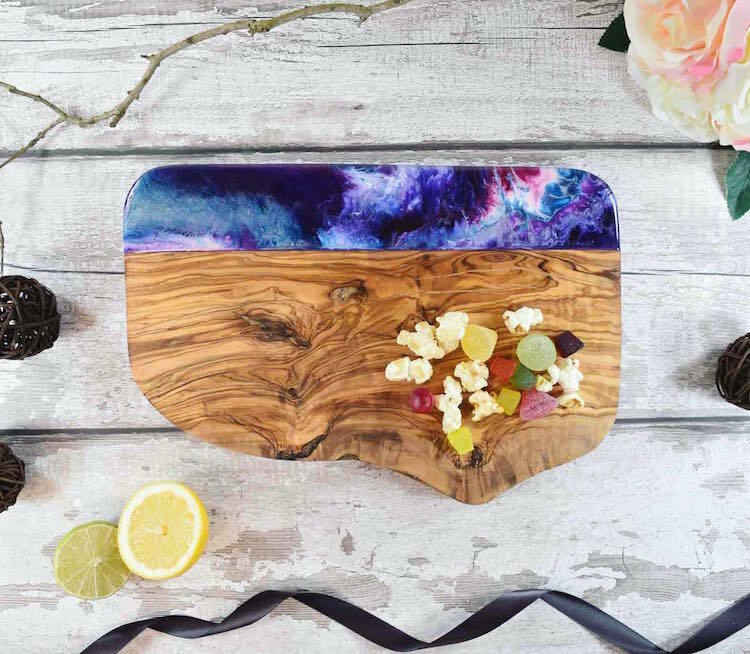 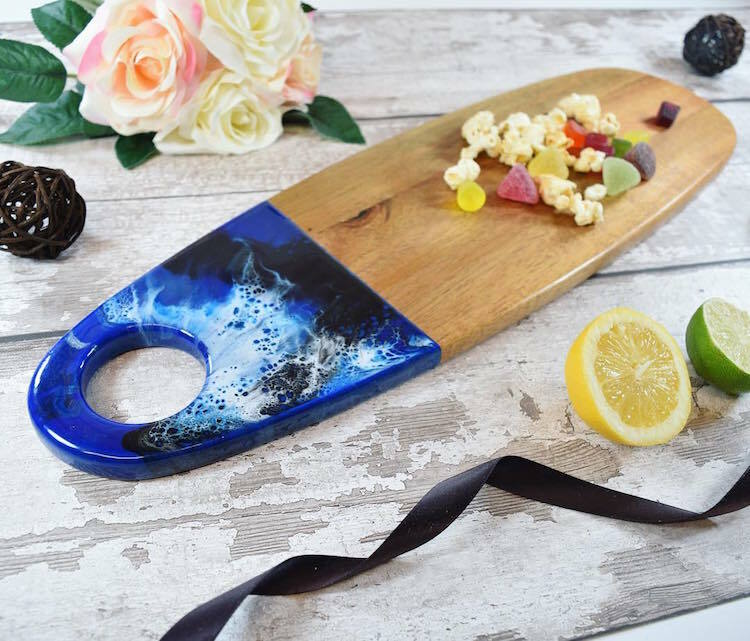 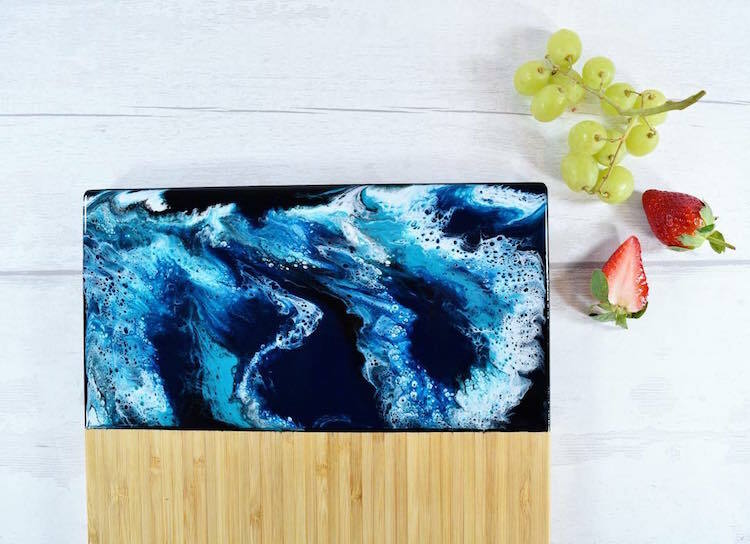 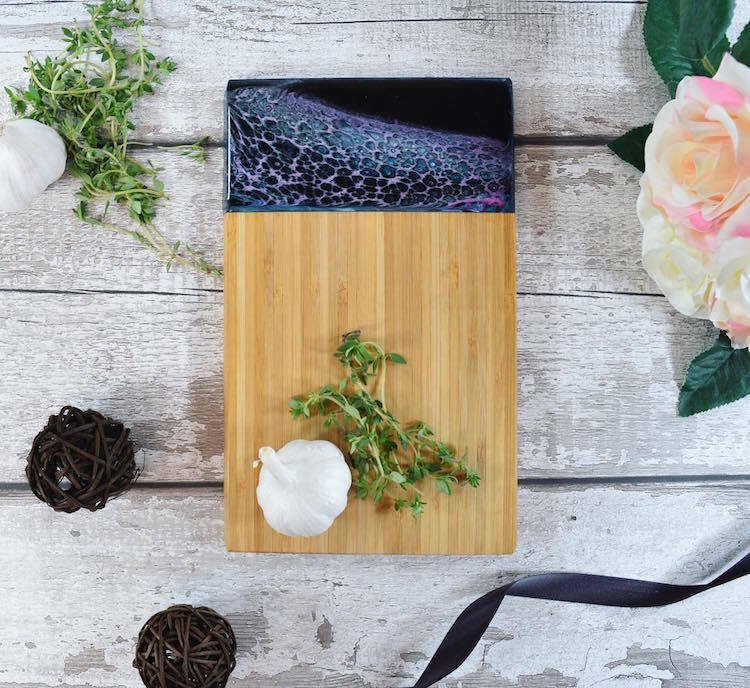 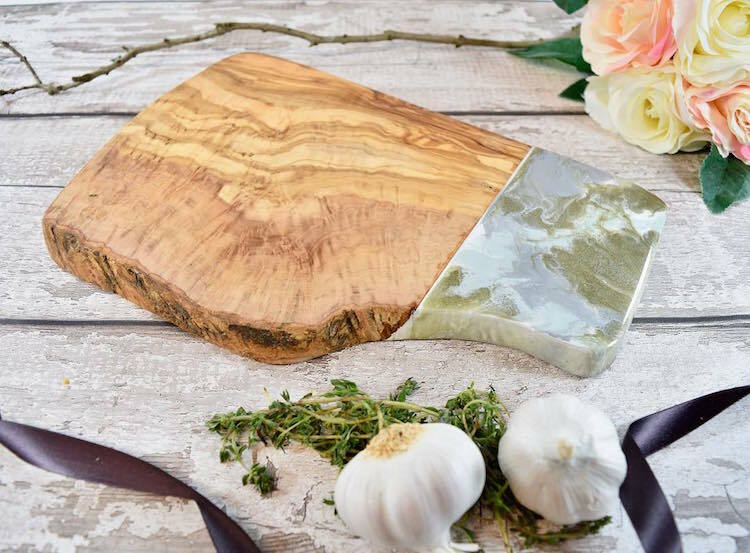 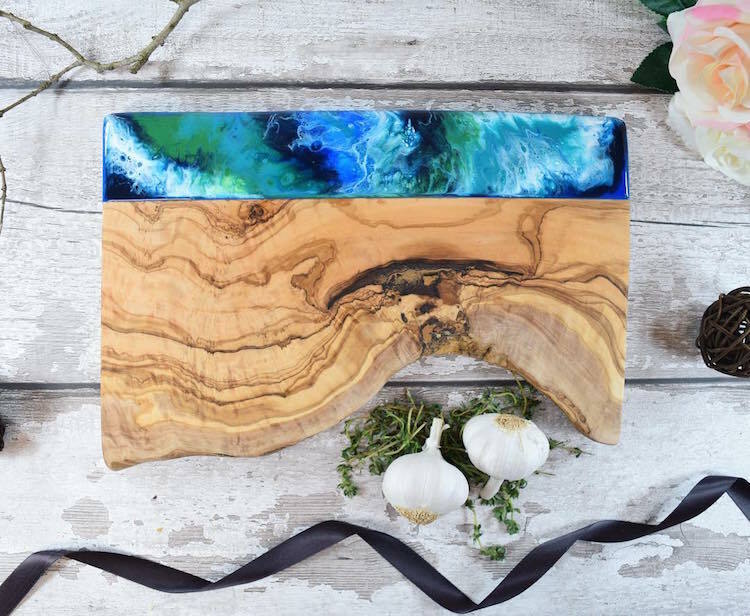 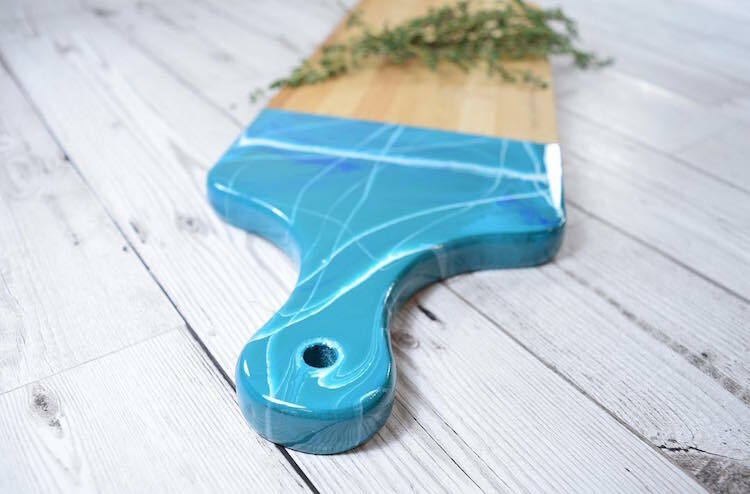 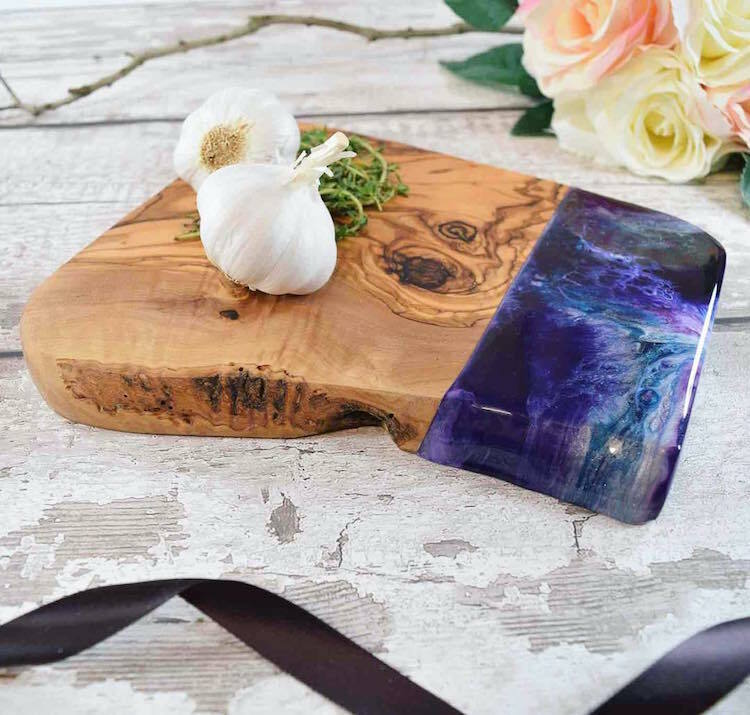 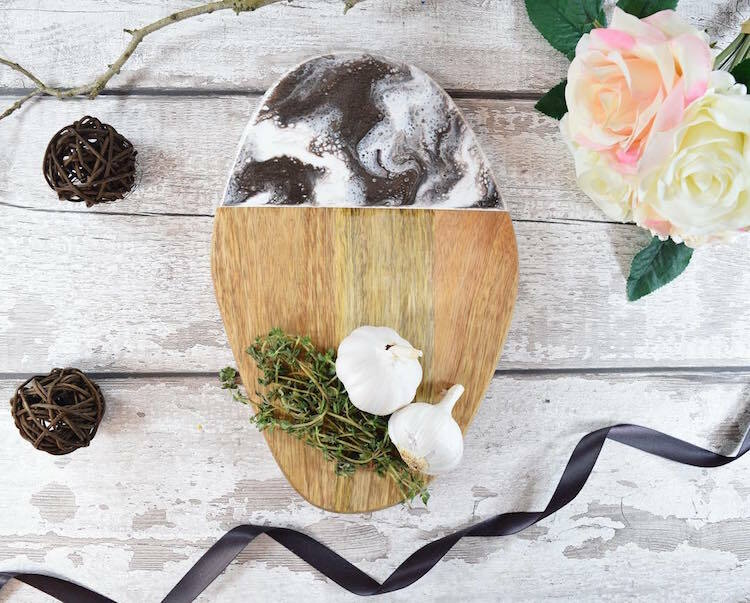 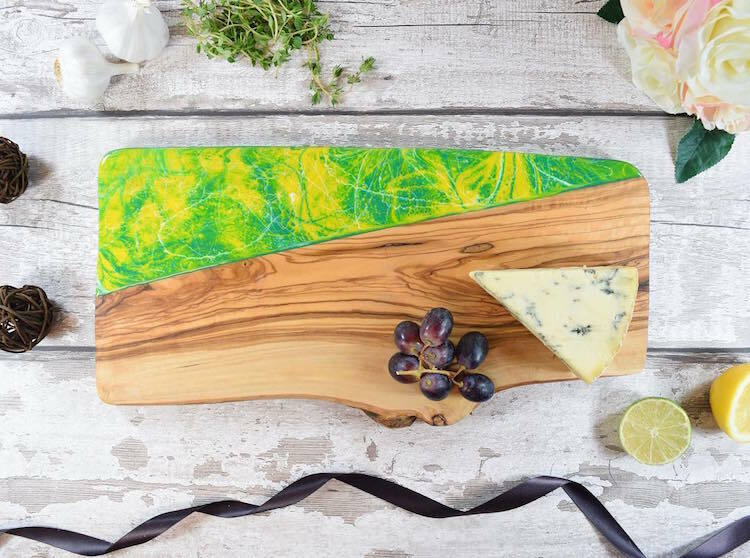 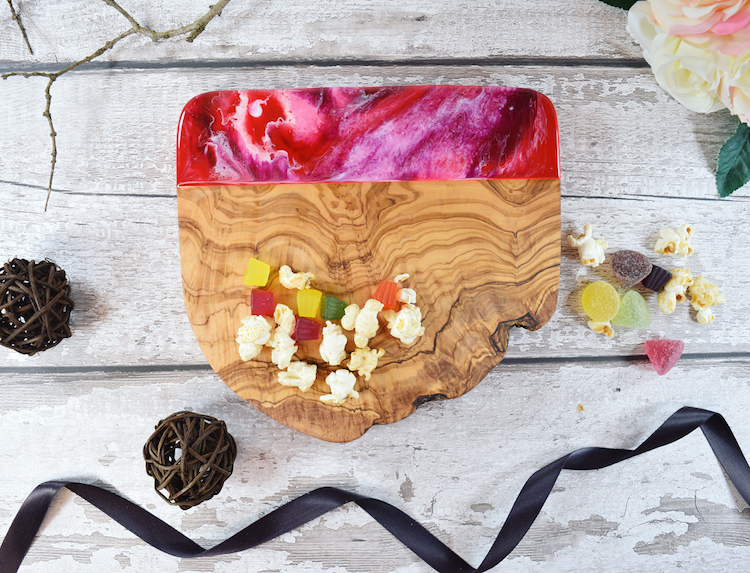 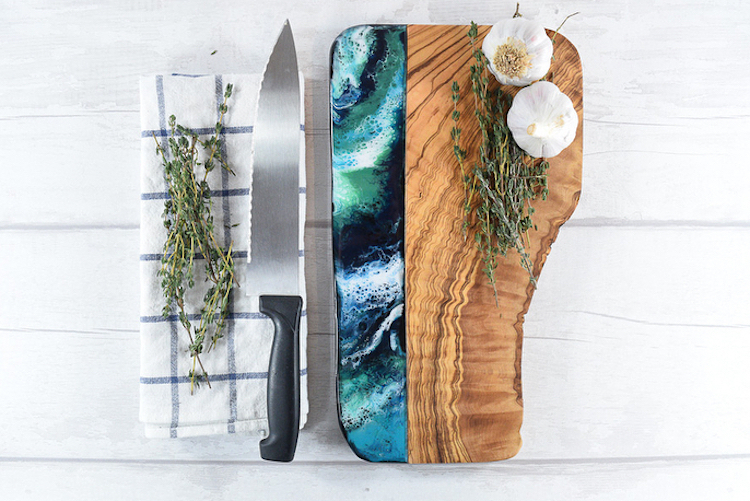 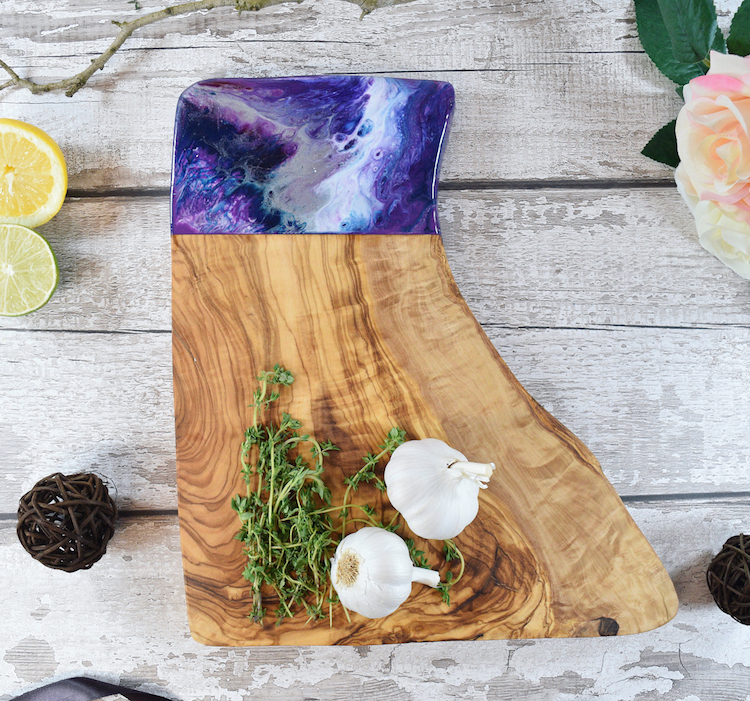 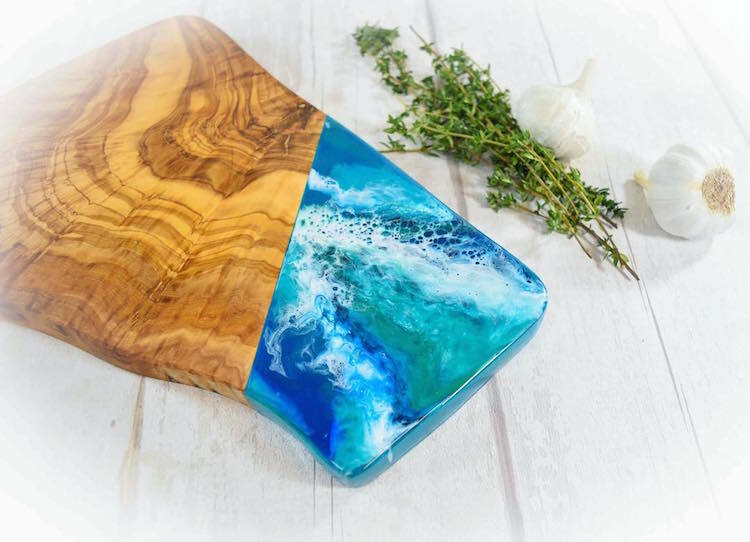 Liverpool-based artist Kate Chesters creates handmade wooden cutting boards featuring stunning resin art. 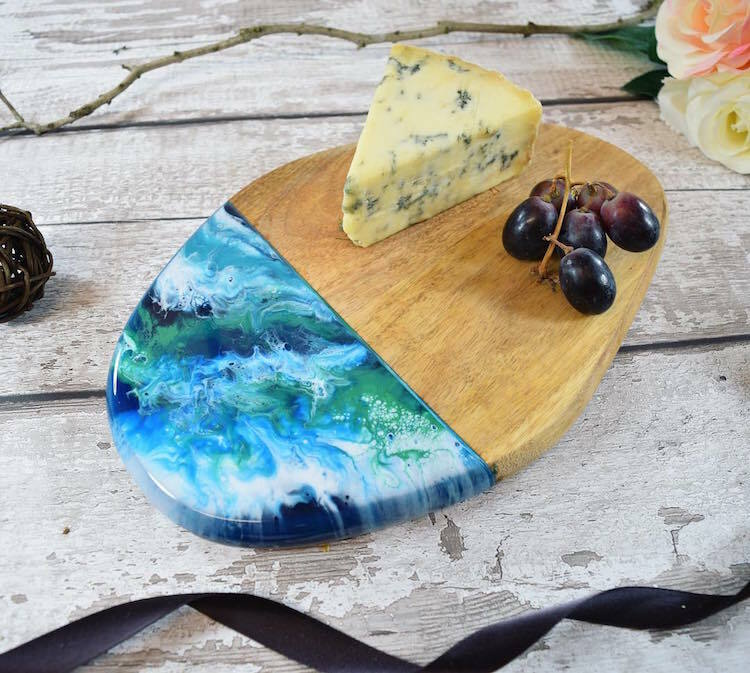 From ocean-like blues to cloud-like magenta swirls, Chesters aims to capture the essence of natural landscapes. 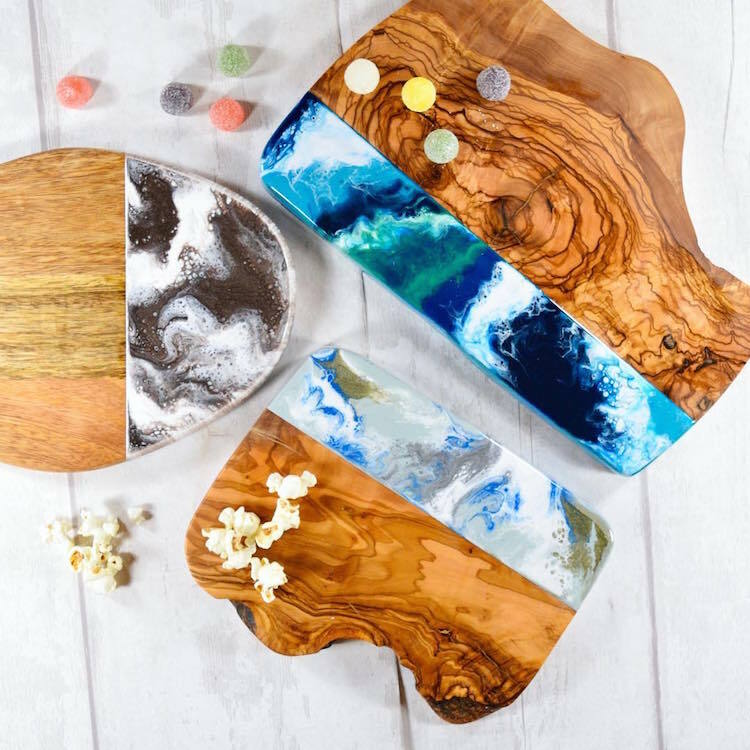 The artist creates the boards from a variety of natural, water-resistant woods. 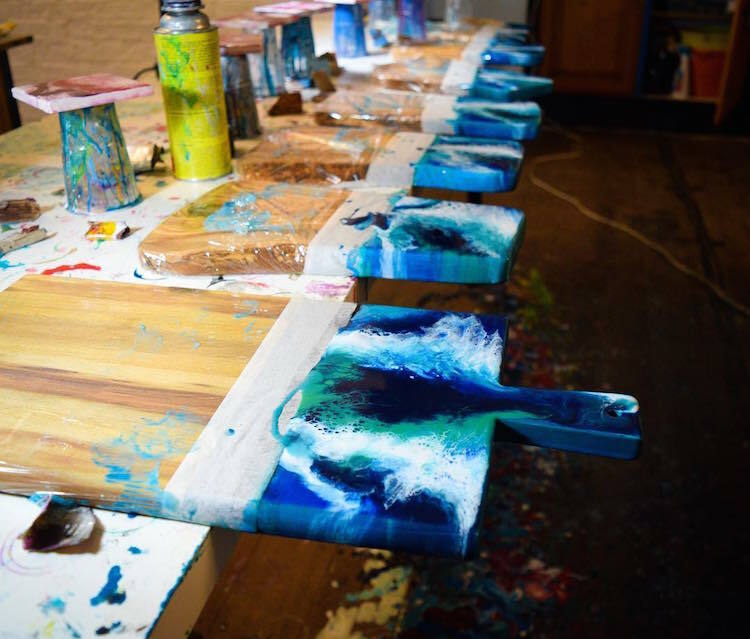 She uses tape to mark out sections, before applying the non-toxic epoxy resin. 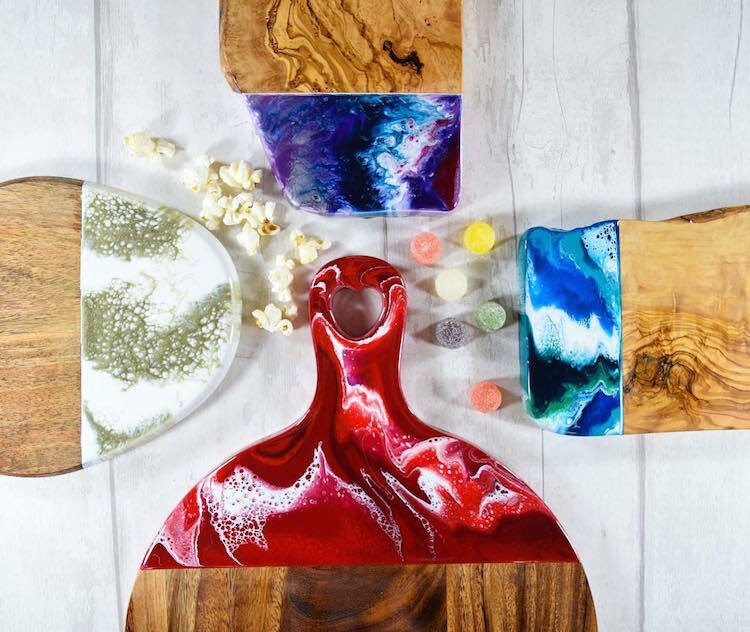 A chemical reaction causes the colors to mix together to create beautiful abstract patterns. 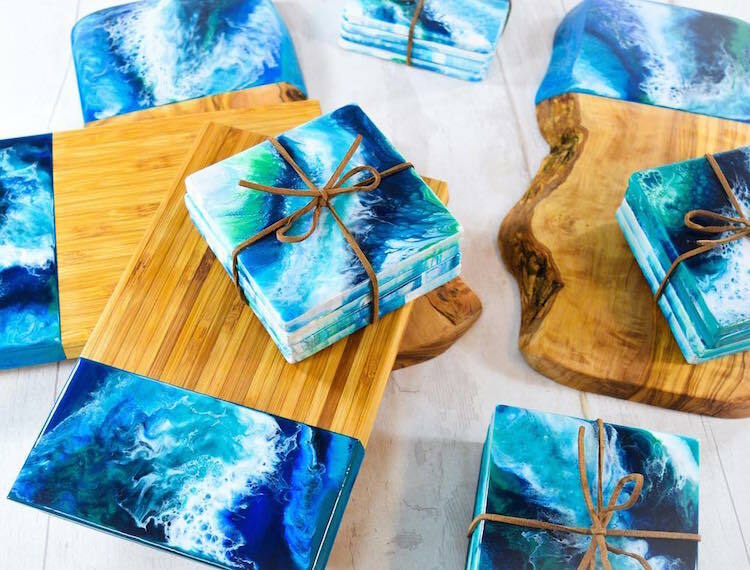 All images via Kate Chesters. 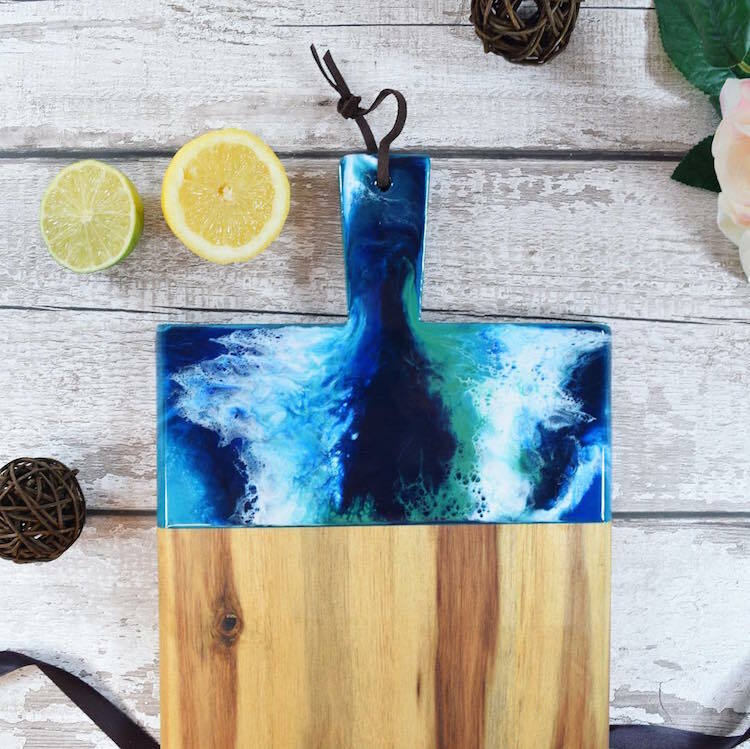 The post Wood and Resin Cutting Boards Bring the Beauty of the Beach to the Kitchen appeared first on My Modern Met.